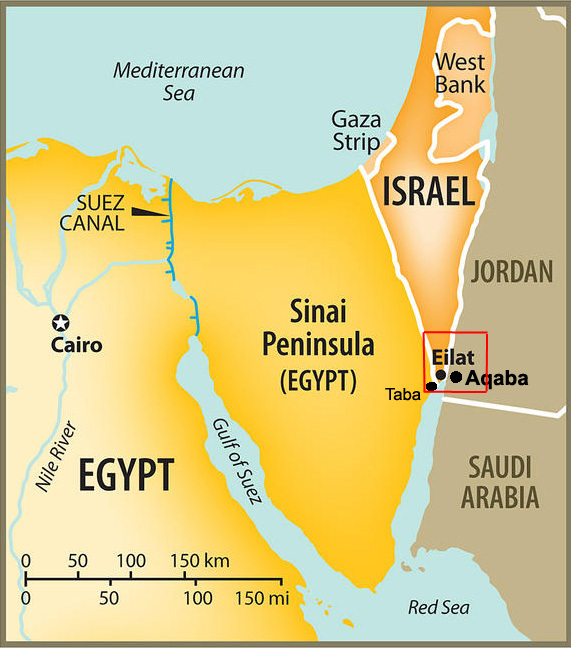 The half-a-trillion-dollar initiative to build a tristate city at the Saudi, Egyptian, and Jordanian border in the Gulf of Aqaba will more than likely lead to Riyadh recognizing Israel and integrating Tel Aviv into the project. The ambitious Saudi Crown Prince Mohammed Bin Salman unveiled a $500 billion project at an investment forum earlier this week in an effort to bring some serious substance to his Vision 2030 project of fundamentally diversifying his country’s oil-dependent economy in the coming decade. The proposal calls for a gigantic city called NEOM to be built at the entrance to the Gulf of Aqaba in the northeastern corner of the Red Sea, with the plan being for it to eventually extend into neighboring Egypt and Jordan as well. The Crown Prince promised that it would be a technologically advanced city with its own laws and administration, and it will also be free from anything “traditional”. The latter remark hints that Mohammed Bin Salman won’t allow the Kingdom’s traditional Wahhabi socio-cultural “regulations” to be enforced there, which goes along with his other headline-grabbing statement during the event when he saidthat Saudi Arabia will “return…to moderate Islam” and “swiftly deal a blow to extremist ideologies”. Quite clearly, as analyzed in the author’s earlier piece this month about Saudi Arabia’s shifting grand strategy, a “deep state” conflict is indeed being fought in the country between its monarchic and clerical factions, with the former poised to carry out a “soft coup” against the latter as it seeks to “modernize” the country. This will surely result in some behind-the-scenes tumult in the coming future, if not overt destabilization, but the point of the present article isn’t to dwell too much on that tangent. Instead, it’s relevant to have brought that up in order to make the case that Saudi Arabia is on the cusp of an unprecedented paradigm change that will likely see it recognizing Israel if the monarchy is successful in snuffing out the clerics’ political influence. Saudi Arabia’s Egyptian and Jordanian NEOM partners have already recognized and signed peace treaties with Israel, and Riyadh is known to be coordinating with Tel Aviv in crafting a comprehensive anti-Iranian regional policy, amongst other strategic commonalities that they share. Moreover, the secret meetings between Saudi Arabia and Israel over the years suggest that their relationship is much warmer in private than either side publicly presents it as for their own respective domestic political reasons. Israel has always wanted relations with Saudi Arabia, though Riyadh has traditionally shirked away from this because it wanted to present itself as a strong supporter of the Palestinian cause, made all the more symbolic by the Saudi monarchy’s custodianship over the Two Holy Mosques given the religious dimensions of the Israeli-Palestinian conflict. However, if Mohammed Bin Salman comes out on top in his “deep state” “soft coup” against the Wahhabi clerics, then he can easily lay the “blame” on them for his country’s refusal to recognize Israel after all of these decades. Not only could he be interested in doing this as the ultimate expression of his country’s radically transformed identity under his stewardship, but he might be just as importantly driven by the geostrategic imperatives related to Vision 2030’s flagship NEOM project. The Gulf of Aqaba was chosen not just because it would allow NEOM to spread into Egypt and Jordan, but also because of its proximity to Israel, which is promoting its “Red-Med” railway proposal as the perfect Mideast complementary component of the New Silk Road. Tel Aviv keenly knows that the Chinese are always looking for backup plans and transport route diversification in order to not be too dependent on any single connectivity corridor, and in this case, overland rail transit from the Gulf of Aqaba to the Eastern Mediterranean via Israel comes off as exceedingly attractive to Beijing’s strategists. Furthermore, China has fantastic relations with both Saudi Arabia and Israel, so from Beijing’s perspective, this is the perfect Mideast “win-win”, especially if the People’s Republic can find a way to insinuate that its possible financing of both the NEOM and “Red-Med” projects contributed to bringing peace to the Mideast. 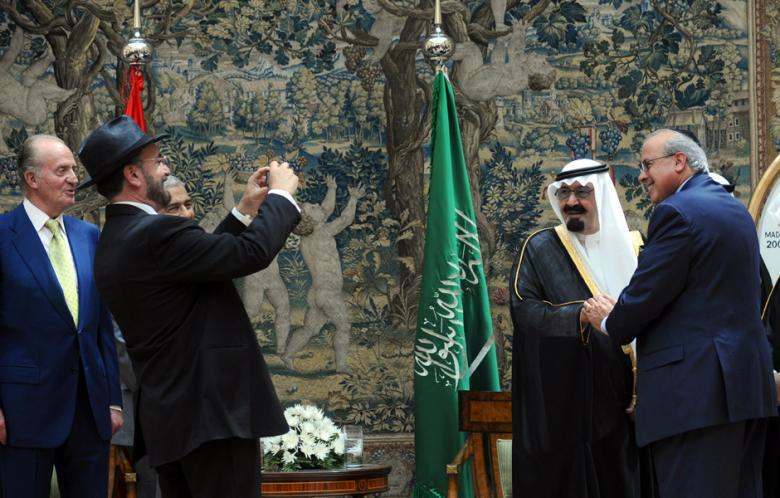 Seeing as how Mohammed Bin Salman is trying to purge the clerics’ political influence from the Kingdom, it’s very possible that Saudi Arabia will end up recognizing Israel in the near future and blaming its decades-long delay in doing so on the Wahhabis. The grand intent behind this isn’t just to formalize the Saudi-Israeli anti-Iranian partnership or to show the world just how serious the Crown Prince is in changing the course of his country, but to please Riyadh’s newfound Multipolar Great Power partners in Moscow and Beijing, both of which enjoy exceptional relations with Tel Aviv but would probably be reluctant to invest in the Kingdom’s NEOM city-state project so long as its connectivity access remained dependent on the Suez Canal chokepoint. 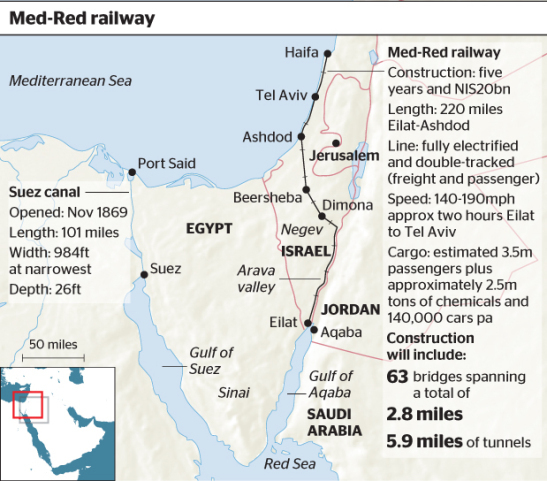 Russia and China would feel more strategically secure if Israel was incorporated into this megaproject so that its territory could be used for overland transshipment between the Red and Mediterranean Seas via the “Red-Med” railway proposal, which would then make NEOM infinitely more attractive from a logistics perspective for all sorts of investors. If Saudi Arabia doesn’t recognize Israel, then this non-Suez workaround is impossible and the NEOM city-state loses its grand strategic significance in the context of the Multipolar World Order, which could consequently lead to a lack of investment and therefore the potential failure of Vision 2030’s flagship project. As such, due to the economic-strategic imperatives associated with NEOM, as well as the geopolitical paradigm shift staking place in Saudi Arabia, Riyadh will probably recognize Israel in the coming future in order to guarantee that its city-state initiative succeeds and ultimately transitions the Kingdom away from its oil-exporting dependency. Michael Fallon just made an atrocious plea to parliament. The Defence Secretary essentially asked MPs to cut out criticism of Saudi Arabia in order to ‘help’ secure an arms deal with the country. Saudi Arabia faces condemnation from MPs because of its brutal attacks on Yemen. Its actions in one of the poorest countries in the world see human rights groups regularly accuse it of war crimes. And as a result of the conflict, over seven million people in Yemen now teeter on the brink of famine. But for Fallon, a Typhoon fighter jet deal appears to trump Yemeni lives. And he’s so certain arms sales should take priority over human rights and international law, he’s openly advocating for other MPs to do the same. It really couldn’t be clearer that Fallon and his fellow ministers are unfit to lead the country. At least, not to lead it in a direction that anyone can be proud of. I have to repeat, sadly, to this committee that obviously other criticism of Saudi Arabia in this parliament is not helpful and… I’ll leave it there… But we need to do everything possible to encourage Saudi Arabia towards batch two. I believe they will commit to batch two. The Defence Secretary also said the government has been “working extremely hard” trying to get the deal through. As an example of that hard graft, he told the committee that he had travelled to Saudi Arabia in September. He signed Britain up to a new ‘Military and Security Cooperation Agreement‘ with the country during that visit. These comments from the Secretary of State for Defence are disgraceful. He is calling on other parliamentarians to join him in putting arms sales ahead of human rights, democracy and international humanitarian law. The sale of arms should never be prioritised over human rights, the rule of law, and the lives of innocent children in Yemen. And there’s another glaring issue with his comments. He “sadly” tells the committee about what ‘unhelpful’ criticism has done to the deal. That’s what apparently moves him. In that moment, he doesn’t express sadness for the 5,144 Yemeni civilians documented as killed in the conflict; 1,184 of them children. Nor does he declare sorrow for the 18.8 million people in need of humanitarian aid in the country. No, the UK Defence Secretary says he’s sad that concern for Yemeni lives is inhibiting our ability to make money. 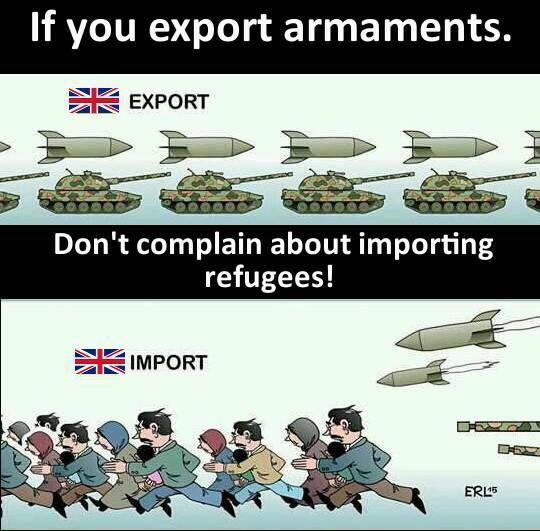 Still proud to be British? Perhaps no problem has been the victim of more egregious myths than North Korea. The constant stream of articles about the “hermit kingdom” when, in fact, North Korea isn’t an isolated outpost on Mars, the incessant narrative that Kim Jong Un is crazy (the same was said about his father) and recurring claims that Pyongyang is on the brink of collapse (since the early 1990s) have made it hard to have a reasoned policy debate. But perhaps the most insidious myths have to do with the history of US policy towards North Korea. 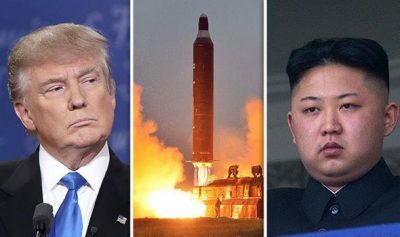 Many of us here at 38 North have spent our professional lives studying North Korea—some have spent decades in the US government trying to deal with the growing threat from Pyongyang. Since we have lived through that history, the constant misrepresentation of what happened in the past by government officials, experts, academics and the media is more than disappointing, particularly since there are shelves of books on that history that most people haven’t bothered to read. It is also dangerous. This failure (or refusal) to understand history has led the US down the wrong path more than once in trying to cope with the North and still could, in the future, with potentially disastrous consequences for the US as well as our close allies, South Korea and Japan. Cases in point are two recent articles in the New York Times, which, on balance, has done great reporting on the unfolding crisis. The first, “How Trump’s Predecessors Dealt with the North Korean Threat” by Russell Goldman, has a clear theme that they have been snookering us all along. Well, that may have been true for part of the time, but it wasn’t true for all of the time. The article completely misrepresents what happened under the Clinton administration, asserting that North Korea accepted the carrots offered by the administration in the 1994 US-North Korea Agreed Framework—two multi-billion dollar reactors and heavy fuel oil shipments—then cheated when it was supposed to be denuclearizing and learned the lesson that it could profit by provoking the West. Sounds pretty straightforward, but unfortunately, it is fake history. If the author had bothered to do more research, he would have learned that in 1993, US intelligence estimated that North Korea could have enough nuclear material to build about 75 bombs by the beginning of the next decade. The Agreed Framework ended that threat. In 2002 when the agreement collapsed, the North only had enough material to build less than 5 nuclear weapons. Moreover, Pyongyang had made the mistake of allowing key nuclear facilities to deteriorate into piles of junk. So it couldn’t restart them. In effect, a plutonium production program that had cost tens, maybe hundreds, of billions of dollars to build had been trashed because of the agreement. True, Pyongyang had started to cheat by exploring a uranium enrichment program that could also produce bomb-making material, but that program was nowhere near as advanced and wouldn’t reach fruition for years. Sounds like a good deal to us. But none of this is mentioned in the article. Once again, fake history. In fact, the suspension of Team Spirit in 1992 led the North to sign an agreement with the International Atomic Energy Agency (IAEA) allowing inspections of its main nuclear facility. That in turn, led to the discovery by international inspectors that the North may have been secretly producing a small amount of nuclear material that could be used to build the bomb. That never would have happened without the temporary suspension of the exercise. Moreover, as the North started to dig in its heels and resist moving forward with more inspections, the US and South Korea simply restarted Team Spirit. And finally, even before the suspension, senior US military officers had questioned the exercise’s value, arguing that they could accomplish the same military objectives at far lower cost and less political clamor from the North. Sound familiar? Today, many experts are arguing the same thing about the current large US-South Korean joint exercises. Reasonable people can disagree about how to deal with the North Korean nuclear threat. But history matters, so let’s get our facts straight. That’s the only way to have an informed policy debate. On October 30, the US-backed Syrian Democratic Forces (SDF) renewed their operations against ISIS in the eastern countryside of Deir Ezzor city. SDF units seized Fudayn, Sijri, Jaar, Wandiyah and Kharijiyah along the road between al-Busariyah and as-Suwar. According to pro-Kurdish sources, the SDF also entered Jadid Uqaydat and Jadid Bu Khayr cutting off the last road that could be used by the Syrian Arab Army (SAA) to reach the ISIS-held town of al-Busariyah on the eastern bank of the Euphrates. Some fighting was also reported between the SDF and ISIS in al-Qusayr located east of al-Busariyah. However, the US-backed force will likely start storming al-Busariyah in full force only after it secures the entire area north of it. In Deir Ezzor city, the SAA Tiger Forces and their allies reached the Khadijah School area in the district of Hamidiyah in the northern part of the city. 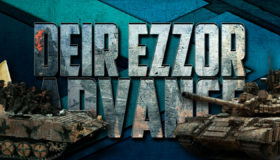 In coming days, the Tiger Forces supported by Russian military advisers will likely increase pressure on ISIS terrorists inside Deir Ezzor. The liberation of the city is an important part of the wider effort to drive ISIS out of eastern Syria. According to pro-government sources, the SAA and Hezbollah advanced east of the T2 Pumping Station near the Iraqi border and captured the settlements of Shammas and Baktal. However, it’s unlikely that the larger advance towards al-Bukamal is possible while the western flank of the assault group is not secured or Iraqi forces are not in control of the entire countryside of the Iraqi border town of al-Qaim. In northern Hama, government troops liberated Rasm Abu Miyal and Murayjeb Jumlan from Hayat Tahrir al-Sham (formerly Jabhat al-Nusra, the Syrian branch of al-Qaeda). 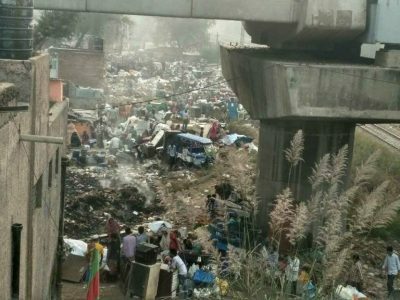 Home Demolition in Delhi: Thousands Rendered Homeless, Kathputli Artists’ Colony Demolished, Death of Democracy! In the two days demolition drive by Delhi Development Authority (DDA) in assistance with Delhi Police demolished more than 1000 houses at Kathputli Colony, in West Delhi on October 30th and October 31st 2017. During the demolition, Police lathicharged on the residents mercilessly and also shot some Tear gas on them. On the basis of a Public Notice served on October 25th to evict the place in 5 days, they carried out this drive. They demolished some 100 houses on day one with 5 Bulldozers on place and they came with greater force on next days to brutally demolishing the rest. The gross Human Rights Violation was done by Delhi Police in two days where they just behaved like they are meant to Peace and Tranquility but they have been brought by DDA to bring as much fear they can create through their Lathis and Abusive Languages. They beat anyone who tried to say a word, they pushed anyone, they grabbed the collars of anyone who resisted, be it man, woman or a child. People from different communal groups living in the vicinity of each other for decades now. In the early 1970s, a handful of performers from Rajasthan settled in West Delhi’s Shadipur region. Artists who were primarily puppeteers and musicians often moved throughout the capital to perform and over a period of time Shadipur became a convenient location for the same. Over time, they were joined by a variety of artists and people from states like Andhra Pradesh, Maharashtra, Bihar, Orissa and Jharkhand and together they formed a single settlement known as Kathputli colony (The term refers to string puppet theatre). Kathputli Colony was planned for the In-Situ Slum Redevelopment under Rajiv Was Yojana in 2009 through Public Private Partnership where contract was given to Raheja Developers (Can also be read Builders at many places) for this at Rs 6.22 Crore. Raheja developed a plan of 170 Premium and 2800 EWS Flats for the area. People were happy with the project initially when the first survey was done. There were some 2631 eligible beneficiaries as per the first survey. To which the builders slyly added an Office Complex and Mall on his “share” of 35% of the land, while They were allotted only 18% in the contract. This then raised the height of the 2800 EWS flats to 15 stories. It enraged the residents as they didn’t want such a tall dwelling unit and such change in plan. Secondly, The survey was done after the plan where Raheja developed a plan for 2800 families and families in Survey came out to 2631. It also raised the questions that how was it possible that Raheja with the numbers and planned the units for such exact families. Thirdly, People were sent to the Transit Camp for a duration of 2 years by Force, by Greed or By Fear to Anand Parbat whereas many people refused to go and after a long struggle they go a High Court Order in their favour in March 2014 for a Resurvey where DDA accepted that there are more families than the last survey and they planned to shift them to Narela till the Project is completed. Narela is situated on the outskirts of Delhi and is more than 30 KMs from their current location which lacks the basic services for living. As of now, after the two days of demolition just 50 or 60 houses have remained in Kathputli Colony till the article was finally drafted. The notice for this demolition was served on October 25th but people didn’t know about it as there were no Public Announcement or Individual Notification done. People were forced out from their houses and anyone who refused to go were beaten by Police. 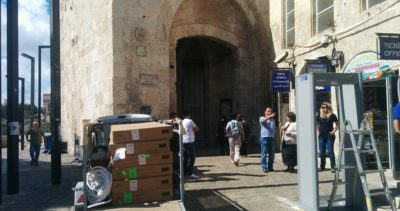 By the afternoon all the nearby shops were closed, the entry and exit points were seized by Police. No one was allowed to enter in to the colony. Looking at such scary scenes, People were very scared. One elderly woman hung herself as her house was demolished. She is still critical in hospital, some social activists (Ex MP Annie Raja and others) were also thrashed and manhandled by Police. One of the residents said that their children are missing from afternoon and they didn’t return till late evening. A father in 60s was performing the post death rituals of his son when he was thrown out from his house and he was wandering with those stuff to perform the ritual. There are many such stories in the Colony from two days. Police didn’t let people sleep in nights as they came every hour to ask them to leave or they will throw them. The Police from Ranjit Nagar Police Station were the main culprits here. They also open fired in night whose evidence (A Bullet) was produced by residents in the morning when I was interacting with them and they also brought it to the Press Conference organised by National Alliance for People’s Movements and Delhi Solidarity Group. Other Organisations like Basti Bachao Sangharsh Smiti is also working with people to help them to face this hard time. In a Public Interest Litigation filed for the case, High Court has ordered a Stay for ten days and has asked the SHO of Ranjit Nagar to maintain the Status Quo strictly. A bigger struggle on the violation of Human Rights is still to be fought. Nazi Public Security Minister Gilad Erdan is expected to announce the establishment of a new police unit to prop up control on holy al-Aqsa Mosque—the third holiest site in Islam. According to Hebrew-speaking news outlets, the new unit, currently being assembled, will be under the authority of the Nazi Police Jerusalem District, and its sole purpose will be to ensure the safety of Nazi Jewish settlers at al-Aqsa Mosque. The new unit is to include more than 100 police officers who will allegedly work to “ensure security and public order” at and around the site. The new unit will reportedly employ the most advanced intelligence and technological tools currently available. Zionist Channel 2 quoted Erdan as claiming that the move makes part of a futuristic vision that will make Occupied Jerusalem one of the world’s safest areas in no more than a couple of years. Recently on Samos we have been experiencing one of those periodic spasms of anti-refugee sentiment. These spasms feel orchestrated and even if not coordinated involve a diverse range of actors. This particular spasm has been sparked by both the high number of new arrivals especially in September and the lack of any preparation to meet the autumn weather. All the refugee authorities use these moments to demand additional resources and powers; local business interests demand VAT reductions and other economic interventions because as ‘we all know’ the refugees have been devastating for tourism, the Mayor calls for meetings with government ministers and on it goes. And at the same time beyond Samos, we see the head of UNCHR warning of the calamity unfolding on the frontier islands as winter approaches as well as other reports highlighting the agony of the refugees on the islands. Add to this mix, Samos SOS, an anti-refugee group which has been intermittently active for many years and which relishes moments such as these as a means of mobilizing support. Over the past few months Samos SOS has been taking its message of cleaning the island of refugees because of the threat they pose to the essential way of life on Samos out to the villages and small towns and not just simply staying in Samos town. It is necessary to understand that the refugees on Samos are located in just one small part of the island around the main town. Leave the town and it is rare to see any refugee. In the overwhelming part of Samos the refugees have no presence at all. Sadly it seems, Samos SOS have had some success in whipping up anti-refugee sentiment in places with no contact or awareness of the refugees. Even so a major problem remains for Samos SOS namely that there is simply no evidence to support their hysterical claims such that Samos is in danger of being ‘islamicized’ or on the brink of widespread social unrest. It is a joke. Even in those villages where Samos SOS succeeded in gaining support it would be highly unlikely that any felt that their way of life was under threat or that they were about to become Muslim. Moreover, walk any day around Samos town and you will see refugees and locals go about their business in utter peace. The refugees don’t walk around as though they are in imminent danger neither does anyone else. You can even eat felafel in the main square now! Samos SOS never acknowledges that the ‘refugee business’ is now probably the biggest single economic activity on the island sustaining in Samos town a diverse collection of hotels, bars, eating places, local mini markets, hire car companies, apartment rentals and so forth. Unlike tourism which lasts for 5 months in the year refugee monies flow throughout the year. But this has not stopped Samos SOS which recently held a high profile public meeting in the central square of Samos town on Sunday October 22nd. From the photographs published a fair number of refugees were also present. Like Samos SOS they would love to leave the island at the earliest opportunity. One consequence of the meeting has been the publication of anAppeal to the islanders by a group of 23 ex mayors, prefects and councilors from across the island. This Appeal was published by My Samos Blog on October 29, 2017. Samos SOS delights in claiming that it speaks for the silent majority and that its truth is what is real. Appeals like this suggest otherwise. We have translated it from the Greek as best we can. Our public intervention is happening today, because we find that in the local community of Samos with the excuse of the refugee crisis, some by their actions or by their omissions are driving things to uncontrollable situations, which trouble us and in addition will discredit and tarnish our island. The refugee-migration issue is a major international problem that, if its causes are not addressed at world and international level (wars, poverty, exploitation, authoritarian regimes, climate change) it will not stop. Greece and especially the islands of the east Aegean, places in the passage from the East to the West will always be under pressure from migratory flows, as was the case in every other century. The Joint Statement European Union -Turkey (March 2016) to address the refugee and immigration crisis, unfortunately has not been adequately met by Turkey (which is obliged to take any necessary measures to prevent illegal immigration from its territories to the EU), but neither by most EU countries who closed their borders and failed to meet the obligations they had assumed for proportionate participation in the management of the refugees. Within this negative climate the Greek state with its services was called upon to face unprecedented situations and showed its inability to manage the refugee migratory wave in an effective manner, both with regard to identification and asylum procedures and to infrastructure hospitality and organized temporary residence with human and dignified conditions. All this has resulted in the presence of a large number of immigrant refugees on the islands as well as their particularly troublesome and miserable living conditions inside and outside of hotspots. -immigrants has logically created disruption and concern, despite the high degree of understanding and solidarity, which the islanders inexorably maintain and offer. Here in Samos, from the great lessons in solidarity and humanity that Samos men and women gave in the summer of 2015 with the supporting of more than 120 thousand refugees-immigrants who were hosted for a while on our island, we passed last autumn with a small number of arrivals but also with numerous worrying SOS voices (‘Samos clean from refugees’). However in the last period we have an overt attempt to create another, particularly negative and, in our opinion, worrying, climate. Samos SOS exploits the ineffective management by the EU, the government and the UN, of the refugee-immigrant with the encroaching on our island of several thousand uprooted people and the general economic hardship and fears about the Islamization of Samos, with mosques and plans with controlled “Turkish” minorities when none of the refugees in question are either Turks or want to stay in Samos. Unfortunately, Samos SOS, operating systematically by exaggeration, misinterpret intentionally or unintentionally the real problems, they construct imaginative scenarios and spread conspiracy about Islamization of the islands and their gradual occupation by foreigners and heathens, resulting in creating and enhancing a climate of insecurity for citizens of an imminent gradual loss of national territories, with our race and religion at risk. In addition to their tours and gatherings in the capital and in villages with inflammatory reasons based largely on their political delirium they create conditions of polarization and social confrontation, which sometimes go beyond the limits and become insults, abuse and even assaults against every fellow citizen who dares to express a different or opposing view. They are the ones who consciously or unconsciously rushed to choose “partners” in the ceaseless war, which regrettably rages for a long time between the two ranks of self-government of our country. In this civil war, beyond any wisdom and rationality, instead of reconciliation, they preferred polarization, and on the pretext of the “salvation” of our island, they prepare the ground and the connections for the next elections, with the support of dishonest means and the willingness of the system. Their wages are worthy. Instead of putting the real problems facing the society of Samos, they are targeting the hapless refugee, as the one who brings all the suffering to the island and with stale arguments cause division of our fellow citizens and tarnish the image of a place where every home has experienced and has memories of refugees and immigration. We appeal to all of you and especially to the citizens of the capital who raise the full burden of the crisis to calmly address the situation with the humanity, the logic, the measured sense and the solidarity that characterize us over time. The real cause of poverty and our problems is not the refugee-immigrant, who crosses Samos with a destination in Europe, but the respective government policies, imposed by the European Union and the powerful of the earth. For the immediate and continuous evacuation on a permanent basis of supernumerary refugees-immigrants from the islands of the eastern Aegean, under the responsibility of the competent services of the country, moving them to mainland Greece and with a final destination in accordance with European and international treaties. For immediate and complete staffing of all necessary support structures and asylum services to ensure the dignified and healthy living of refugees-migrants (for as long as they stay on our island) and fast processing of identification and asylum requests, so as to move as soon as possible to the mainland. For the immediate activation of a permanent inter-party committee of the Parliament, including MEPs, for management planning of the refugee-immigration issue under European and international law and UN principles, to monitor developments at local and supra-regional levels taking the necessary initiatives to further improve the existing agreements and the positive overall enlargement of the relevant institutional framework as well as for political and economic control of all bodies, public and private (NGOs etc), where they are involved in any way in this problem and its treatment. The text is signed by Apostolos Dimitrios, former president City Council of Pythagorio and 22 others. Coincidentally on the same day (29th October) Ekathimerini published an interview with Frans Timmermans one of the key figures in the EU Turkey Pact in which he praises the people of the frontier islands for their heroic efforts in helping refugees and yet condemns them and the refugees to remaining trapped on what are in effect prison islands. Russia will not demand Venezuela repay its owed debt in the amount of $ 1 billion for 2017 alone, said the head of Russia’s Minister of Finance Anton Siluanov. Thus, Moscow continues to support Caracas and the Maduro led government. At the same time, there is no coherent reason to demand a return of the money from Venezuela, due to the severe economic and social crisis in the country, accompanied by a currency deficit, would not allow it to be payed off. 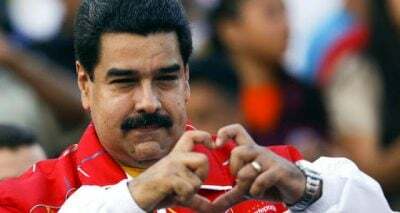 “Venezuela turned to us for debt restructuring. The terms of this restructuring were discussed. We have worked out the conditions with the Ministry of Finance in general. If the Venezuelan side can quickly initial these agreements, there is every reason to agree and sign the terms of the restructuring before the end of this year,” the minister said. At present, the conditions under which the debt will be restructured have already been prepared, the agreement must be approved by the Venezuelan authorities. This is the second restructuring of Venezuelan debt on the part of Russia over the past two years. Earlier, in September 2016, the debt was of $ 2.84 billion. This money Caracas should begin to return only in March 2019 in equal installments within three years. Under the new restructuring, the conditions are likely to be similar, so payments will begin no earlier than 2020. In total, over the past 11 years, Russia has invested $ 17 billion into Venezuela, including loans from Rosneft for $ 6 billion as an advance payment for the supply of Venezuelan oil. Due to the fact that Russia will not receive funds from Venezuela, the Russian budget will be 54 billion rubles less than it could have been. The Commerce Chamber predicts that in the future, the amount of lost revenues will be greater, since it is “almost useless” to await the return of these funds from Caracas: according to the IMF, Venezuela annually requires up to $ 30 billion only to save the economy from collapse. The economic situation remains very dire in Venezuela, inflation is expected to accelerate to 1660%, as well as the continued devaluation of the national currency and the growth of public debt. Venezuela currently has a 95% of economic collapse. “Canada has never been an imperialist power. It’s even almost funny to say that phrase: we’ve been the colony,” said the journalist turned politician after a Toronto meeting of foreign ministers opposed to the Venezuelan government. 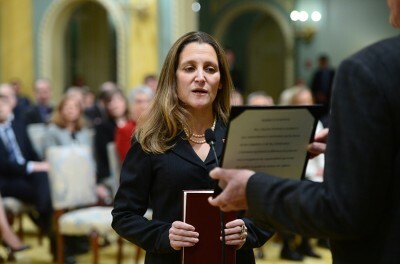 The above declaration was part of the Canadian foreign minister’s response to a question about Chavismo’s continued popularity, which was prefaced by a mention of protesters denouncing Ottawa’s interference in Venezuela’s internal affairs. Freeland added that “one of the strengths Canada brings to its international affairs” is that it doesn’t engage in “regime change”. Notwithstanding her government’s violation of the UN and Organization of American States charters’ in Venezuela, Freeland’s claim that Ottawa doesn’t engage in “regime change” is laughable. Is she unaware that a Canadian General commanded the NATO force, which included Canadian fighter jets, naval vessels and special forces, that killed Muammar Gaddafi in Libya six years ago? Sticking to contexts more directly applicable to the situation in Venezuela, Ottawa has repeatedly endorsed US-backed military coups against progressive elected leaders. Canada passively supported the ouster of Iranian Prime Minister Mohammad Mossadegh in 1953, Guatemalan President Jacobo Arbenz in 1954, Ugandan President Milton Obote (by Idi Amin) in 1971 and Chilean President Salvador Allende in 1973. In a more substantial contribution to undermining electoral democracy, Ottawa backed the Honduran military’s removal of elected president Manuel Zelaya. Before his 2009 ouster Canadian officials criticized Zelaya and afterwards condemned his attempts to return to the country. Failing to suspend its military training program, Canada was also the only major donor to Honduras — the largest recipient of Canadian assistance in Central America — that failed to sever any aid to the military government. Six months after the coup Ottawa endorsed an electoral farce and immediately recognized the new right-wing government. In the 1960s Ottawa played a more substantial role in the ouster of pan-Africanist independence leaders Kwame Nkrumah and Patrice Lumumba. In 1966 Ghana’s Canadian-trained army overthrew Nkrumah. In an internal memo to External Affairs just after Nkrumah was ousted, Canadian high commissioner in Accra, C.E. McGaughey wrote “a wonderful thing has happened for the West in Ghana and Canada has played a worthy part.” Soon after the coup, Ottawa informed the military junta that Canada intended to carry on normal relations and Canada sent $1.82 million ($15 million today) worth of flour to Ghana. Ottawa had a strong hand in Patrice Lumumba’s demise. Canadian signals officers oversaw intelligence positions in the UN mission supposed to protect the territorial integrity of the newly independent Congo, but which Washington used to undermine the progressive independence leader. Canadian Colonel Jean Berthiaume assisted Lumumba’s political enemies by helping recapture him. The UN chief of staff, who was kept in place by Ottawa despite being labelled an “imperialist tool” by Lumumba’s advisers, tracked the deposed prime minister and informed army head Joseph Mobutu of Lumumba’s whereabouts. Soon after Lumumba was killed and Canadian officials celebrated the demise of an individual Prime Minister John Diefenbaker privately called a “major threat to Western interests”. It’s in the Western Hemisphere’s poorest nation where Canada was most aggressive in opposing a progressive government. On January 31 and February 1, 2003, Jean Chrétien’s Liberal government organized an international gathering to discuss overthrowing Haiti’s elected government. No Haitian officials were invited to the “Ottawa Initiative on Haiti” where high-level US, Canadian and French officials decided that president Jean-Bertrand Aristide “must go”, the dreaded army should be recreated and that the country would be put under a Kosovo-like UN trusteeship. Thirteen months after the “Ottawa Initiative on Haiti” meeting Aristide and most other elected officials were pushed out and a quasi UN trusteeship had begun. The Haitian National Police was also heavily militarized. Canadian special forces “secured” the airport from which Aristide was bundled (“kidnapped” in his words) onto a plane by US Marines and deposited in the Central African Republic. Five hundred Canadian troops occupied Haiti for the next six months. After cutting off aid to Haiti’s elected government, Ottawa provided tens of millions of dollars in foreign aid to the installed government, publicly supported coup officials and employed numerous officials within coup government ministries. Haiti’s deputy justice minister for the first 15 months of the foreign-installed government, Philippe Vixamar, was on the Canadian International Development Agency’s payroll and was later replaced by another CIDA employee (the minister was a USAID employee). Paul Martin made the first ever trip by a Canadian prime minister to Haiti to support the violent post-coup dictatorship. Dismissing criticism of Ottawa’s regime change efforts in Venezuela by claiming Canada has been a benevolent international actor is wholly unconvincing. In fact, a serious look at this country’s foreign policy past gives every reason to believe that Ottawa is seeking to unseat an elected government that has angered many among the corporate set. Anyone with their eyes open can tell the difference between a beaver and a duck. The disclosure that the Clinton campaign, using white-shoe law firm Perkins Coie as a cutout, financed the so-called Steele dossier confirms what we have known all along. The Trump-Russia collusion story was a joint invention of the Obama administration and the Clinton campaign. It enabled the Obama administration to make use of the nation’s security and intelligence services to spy on Trump and his associates and to use whatever information they thereby gleaned to try to get Hillary into the White House. The failure of the scheme didn’t stop either Obama or the Clintons. Following the election debacle, an enraged Obama administration sought vengeance by disseminating the dossier as widely as possible with a view to undermining the incoming Trump administration and to ensuring that no rapprochement with Russia would be possible. 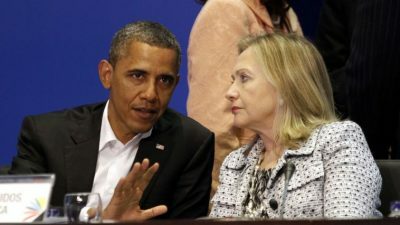 In doing so, Obama and Clinton have thrown American politics into turmoil and have perhaps pushed the United States and Russia toward armed confrontation. We have known the basic outlines of the Steele dossier story since January. The Steele dossier, we have been told, started off as a piece of opposition research prepared by Fusion GPS and financed by a Republican rival of Trump’s or perhaps a GOP NeverTrumper. Following Trump’s victory in the GOP primaries, the Democrats took over its funding. Fusion hired Christopher Steele, a former head of the Russia desk at MI6 who now ran his own corporate intelligence firm, Orbis Business Intelligence. Using the leads Steele had developed during his years at MI6, he reported back to his paymasters his shocking discovery: The Russians had been cultivating Trump for years in preparation for his run for the presidency. So shocked was Steele by this that he rushed to alert the FBI, MI6 and even select reporters. Most of this story is pure fiction. Neither the GOP nor a primary rival of Trump’s had any involvement with the dossier. To be sure, in October 2015, the Washington Free Beacon, a neo-conservative Web site funded by hedge fund billionaire Paul Singer, did hire Fusion to undertake opposition research on Trump. However, money for this undertaking dried up by May 2016. The Steele-crafted Trump-Russia collusion story was from start to finish a Democratic Party operation. Its origins can be traced back to April 2016 and the leak of the Democratic National Committee e-mails. The DNC announced that it had been “hacked.” However, instead of reporting the matter to the proper authorities, the DNC turned to attorney Michael Sussmann, a partner at the Perkins Coie law firm. Sussmann got in touch with cybersecurity firm CrowdStrike Inc. Now, CrowdStrike is no geeky, techno-gee-whiz firm. Its founder is Russian-born Dmitri Alperovitch, a senior fellow at the NATO-funded, intensely Russophobic Atlantic Council. “Within a day, CrowdStrike confirmed that the intrusion had originated in Russia,” the New York Times wrote. On June 14, CrowdStrike announced that the DNC hack perpetrators were two separate hacker groups employed by the Russian government. Even though no one other than CrowdStrike had examined the DNC servers, U.S. intelligence agencies immediately declared that they were in agreement and that they had “high confidence” that the “Russian government was behind the theft of emails and documents” from the DNC. It was at this moment that the Clinton people made the strategic decision to tie Trump to Putin and to make the centerpiece of its campaign the idea that a vote for Trump was a vote for the Kremlin. Perkins Coie—yet again—got in touch with Fusion, which, in turn, got in touch with Christopher Steele. Steele had contacts at MI6 and, perhaps more important, contacts at the FBI. He had allegedly worked with the FBI in the takedown of FIFA. Carter Page, whom no one had ever heard of and who had never even met Trump, featured prominently in the Steele memos and in subsequent U.S. media coverage of the campaign. A July 19 memo from Steele had Page holding a “secret meeting” with Igor Sechin, executive chairman of Rosneft, the Russian state oil company, in which the two men discussed future bilateral energy cooperation and “an associated move to lift Ukraine-related” sanctions against Russia. Given Donald Trump’s well-known admiration for Putin and his belittling of NATO, the Russians have both the means and the motive to engage in a hack of the D.N.C. and the dump of its emails prior to the Democratic Convention. That foreign actors may be trying to influence our election—let alone a powerful adversary like Russia—should concern all Americans of any party. And, of course, Hillary Clinton famously accused Trump of being “Putin’s puppet” during their third presidential debate. The Steele dossier was now driving the Obama administration’s scrutiny of Trump’s people as well as media coverage of the campaign. The FBI went to the Foreign Intelligence Surveillance Act (FISA) court and obtained an order to “monitor the communications” of Carter Page, as “part of an investigation into possible links between Russia and the campaign.” According to the Guardian, the FISA court turned down its first application (an unusual event, if true), asking the agency to narrow its focus. Eventually, the FBI managed to convince the court that “there was probable cause to believe Page was acting as an agent of a foreign power.” What was the basis of this probable cause? CNN reported that the FBI based its application on the claims made in the Steele dossier. That’s very serious business. If the FBI was presenting the FISA court unverified material from the dossier as if it were verified then it was clearly deceiving the court in order to obtain a politically-motivated warrant. By September 2016, U.S. media were reporting that Carter Page had become a person of interests for the U.S. government: “U.S. intelligence officials are seeking to determine whether an American businessman identified by Donald Trump as one of his foreign policy advisers has opened up private communications with senior Russian officials—including talks about the possible lifting of economic sanctions if the Republican nominee becomes president.” Words straight from the dossier. The same media report had “U.S. intelligence agencies” receiving reports that Page met one Igor Diveykin, who “serves as deputy chief for internal policy and is believed by U.S. officials to have responsibility for intelligence collected by Russian agencies about the U.S. election.” This too is almost verbatim from Steele’s July 19 memo. This was a classic non-denial denial. That he and his friends did not “rely” on the dossier doesn’t mean that they didn’t make full use of it. Federal investigators also wiretapped Paul Manafort, both before and after the election and indeed right through to the last days of the Obama administration. According to CNN, the FBI launched an investigation of Manafort in 2014 shortly after the Feb. 22, 2014, coup d’etat in Ukraine. Manafort had worked as a political consultant work for former Ukraine President Viktor Yanukovych’s Party of Regions. However, the “surveillance was discontinued at some point last year for lack of evidence.” In other words, by the time Manafort went to work for the Trump campaign in May 2016, he was no longer under FBI surveillance. The FBI resumed its surveillance at just about the time the first of Steele’s memos started arriving in Washington. The wiretaps had nothing to do with the charges Special Counsel Robert Mueller has just brought against Manafort. Mueller’s charges involve activities that took place long before Manafort joined the Trump campaign. What the FBI was looking for was evidence that Manafort was a conduit between the Kremlin and Trump. Former Trump National Security Adviser Michael Flynn also featured prominently in the dossier. He too came under Obama administration surveillance. Indeed, Obama’s people used the wiretaps in order to get him ousted from his newly-appointed position. Obama administration holdover, Acting Attorney General Sally Yates, listened in on a conversation Flynn had had with Russia’s ambassador to the United States, Sergei Kislyak, on Dec. 29, 2016, and decided that the incoming national security adviser was susceptible to blackmail from the Russians. She never really explained on what grounds the Russians could or would blackmail Flynn. Her argument seemed to be that because Flynn had discussed the possible lifting of sanctions—a policy that would run contrary to that of the Obama administration that was still in office at the time this conversation had supposedly taken place—he had violated the Logan Act, which prohibits private individuals conducting U.S. foreign policy. No one has been prosecuted under this statute for 200 years. Why the Russians would want to invoke an obscure statute to threaten Flynn, an official well-disposed toward them, with a prosecution that could never succeed and thereby to undermine the very policy they were seeking, namely, the lifting of sanctions, was never explained. Nonetheless, armed with this nonsense, Yates rushed over to the White House demanding dismissal of Flynn. He was susceptible to blackmail and was therefore a security risk. It seemed to be a joke, but for reasons that remain baffling, the White House meekly complied with Yates’s demand. We now know that the Obama administration’s surveillance of Trump’s people reached pathological levels following the election. It is almost certain that the FBI did pay Steele to continue his work. The Washington Post reported that the bureau had “reached an agreement with [Steele] a few weeks before the election for the bureau to pay him to continue his work.” The Post claims that “Ultimately, the FBI did not pay Steele. Communications between the bureau and the former spy were interrupted as Steele’s now-famous dossier became the subject of news stories, congressional inquiries and presidential denials.” This seems highly unlikely. According to a number of news stories, the Clinton campaign stopped paying Steele sometime at the end of October. Yet Steele continued sending memos through December. Somebody had to have paid him. Steele is not the type to work pro bono. Get as much information as you can, get as much intelligence as you can, before President Obama leaves the administration, because I had a fear that somehow that information would disappear with the senior people that left….That the Trump folks, if they found out how we knew what we knew about their, the staff, the Trump staff’s dealing with Russians, that they would try to compromise those sources and methods, meaning we would no longer have access to that intelligence. So I became very worried, because not enough was coming out into the open, and I knew that there was more. The full extent of the Obama administration’s campaign of surveillance, espionage and sabotage has yet to be revealed. The right-wing media have excitedly latched onto the Clinton revelations in order to put out a ridiculous story of their own. Americans are still innocent victims; Russians are still villains interfering with our gloriously pristine elections. The new victim-in-chief is Trump and the new Russian colluder-in-chief is Clinton. As ever, nothing changes in Washington.